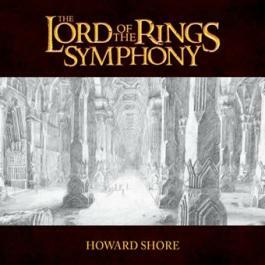 I hate to start a week of posting on a negative note, but it seems the inauthentic Herr der Ringe von Howard Shore in Concert are once again beginning to make the rounds. For the unacquainted, these are concerts that have been organized without the participation or consent of New Line, Warner Brothers or Howard Shore. Shore's music was taken down (inaccurately) by ear by an arranger, who has decided to incorporate his own additions in order to "improve" the composer's music. It is as if a student painter decided to re-paint Picasso's Guernica adding dabs of color and smiling faces to make up for the creator's shortcomings. 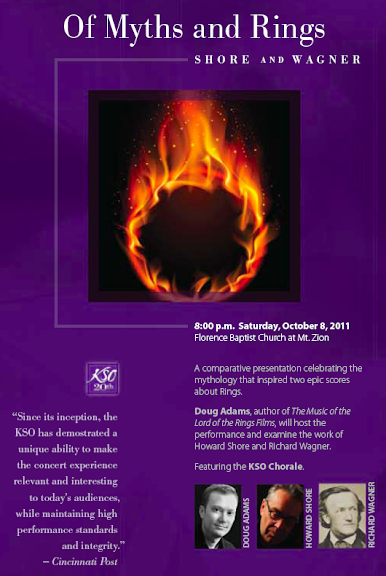 Nothing about these concerts is designed to honor the music or its creators. Please help spread the word. The concerts listed here do not feature the music that we care about so deeply. TTT Live at Wolf Trap! Fellowship Live Coming to London in 2009!